A wrap-up of our time at Codemotion 2017. From inspiring speakers to meet-ups and brainstorming, the conference completely dedicated to coding. 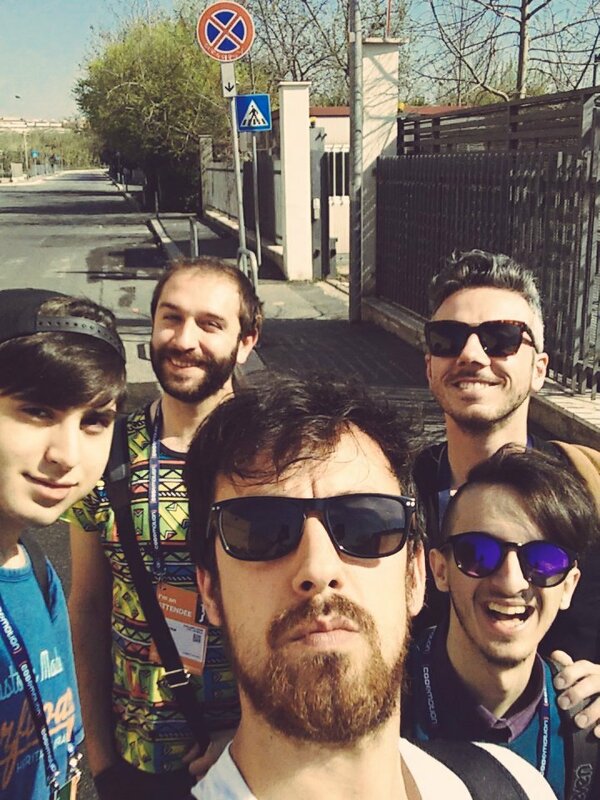 Last weekend, Evonovers Synasius, Docler, Rub, Girbons, and Alien headed down to Rome to attend the seventh edition of Codemotion, a technical conference dedicated exclusively to coding. 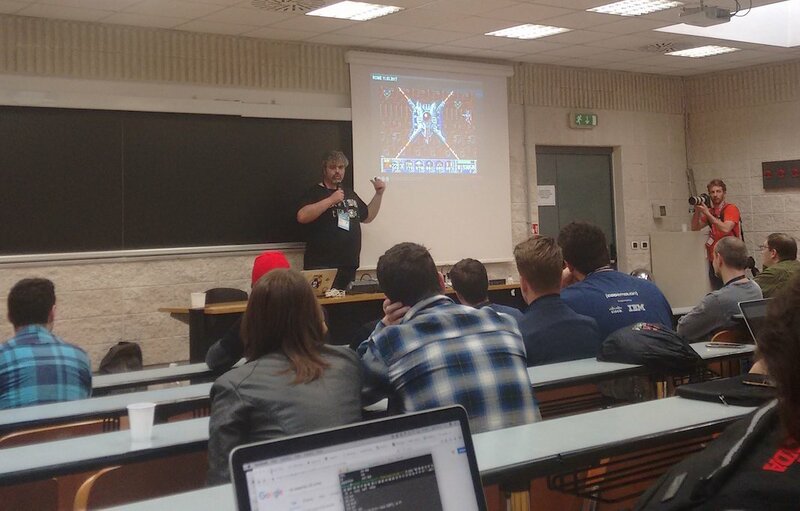 Codemotion was able to bring the best of the international tech panorama to Rome, starting with some inspiring keynote speakers like Elisabetta Rinaldi and Rossella De Gaetano from IBM who talked about some creative implementations of cognitive computing, to an impressive presentation of 15 GameDev projects in competition for the chance at the Indie Prize Singapore. Another great speaker was Stephanie Rewis, the principal developer at Salesforce who spoke about strategies for building a modern CSS framework for a "Living Design System". 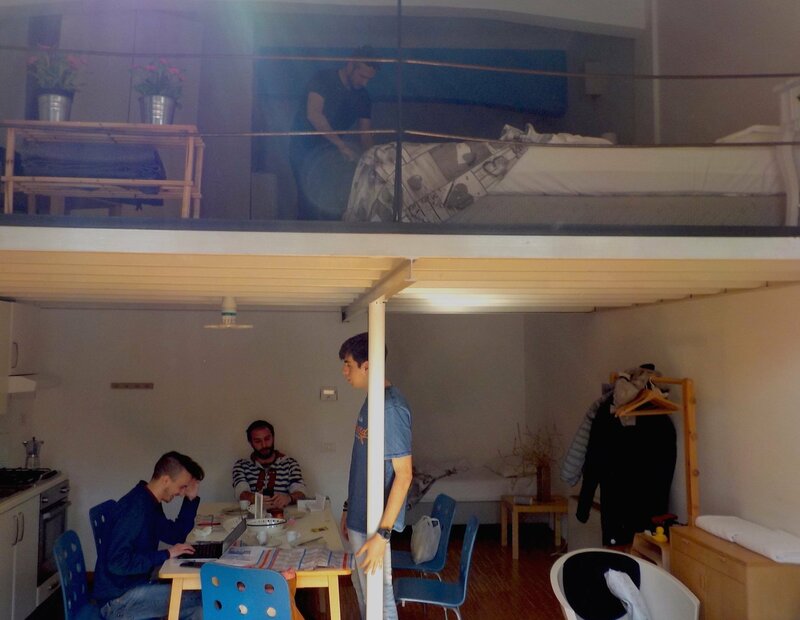 There was also plenty of time for meet-ups and, as always when we get to attend these kinds of seminars, we had a great time exchanging ideas and getting inspired by the overall innovative atmosphere of the group. The first day we attended the talk by Tanay Pant, a regional representative of Mozilla, who spoke about web-based virtual reality, and presented A-Frame a web framework to build virtual reality experiences using just HTML. It is built on top of three.js, another framework we love (see the animation on our homepage!) and offers an entity-component system to build the scene. Awesome! We’re going to play with it very soon, so stay tuned! Another really interesting talk we attended was given by Davide Pensato, founder of dpstudio, a company focused on developing tools to allow game developers to integrate audio into their games and of course produce all the compositions that could be used with those tools. He showed us how the audio integration is a key part of the game development process and the different kinds of expertise needed to achieve audio production, integration and testing. He made us realize how important it is to start this process as early as possible in development, to be able to deliver a good gaming and game developing experience for both gamers and game developers. It was an enlightening talk, and we’ll sure make use of his advice. 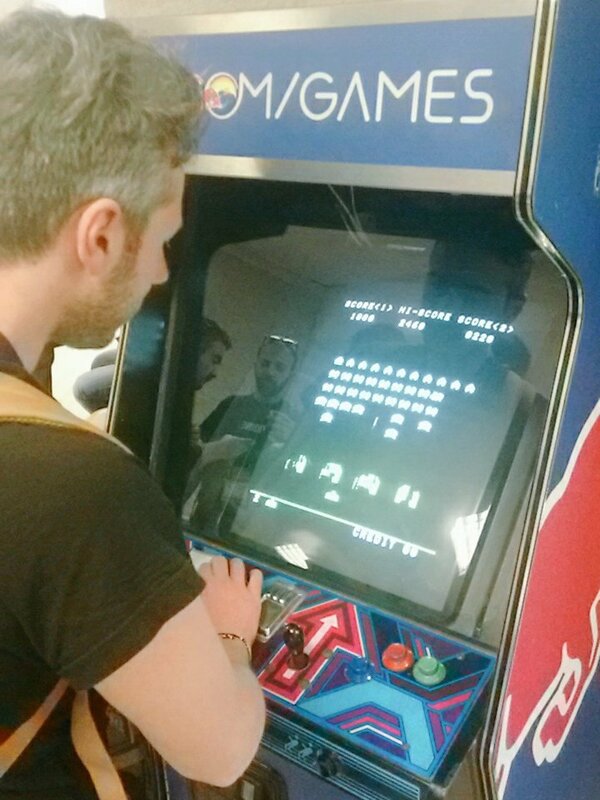 Alessio got lost in some pretty awesome vintage video games. The second day was rich with speeches on Virtual Reality, so we jumped in! Marco Giammetti from Hypotermic Games and author of the webcomic Beavers showed us a lot of techniques used to let the user move inside a VR simulation and explained which are the best to avoid player sickness, so they won’t puke while playing your games (unless that's the desired effect). In Evonove we are all gamers and VR fans but some of the techniques described were surprising, such as the one where the players always walk in a circular path inside the room space. That way the player has the illusion of walking along an infinite path, breaking the limitations of the physical room. At the end of the day we were undecided whether to leave the conference or to attend another talk. We chose to listen in on the last one about Commodore 64 game development with no expectations, but it turned out to be the best speech of the conference. 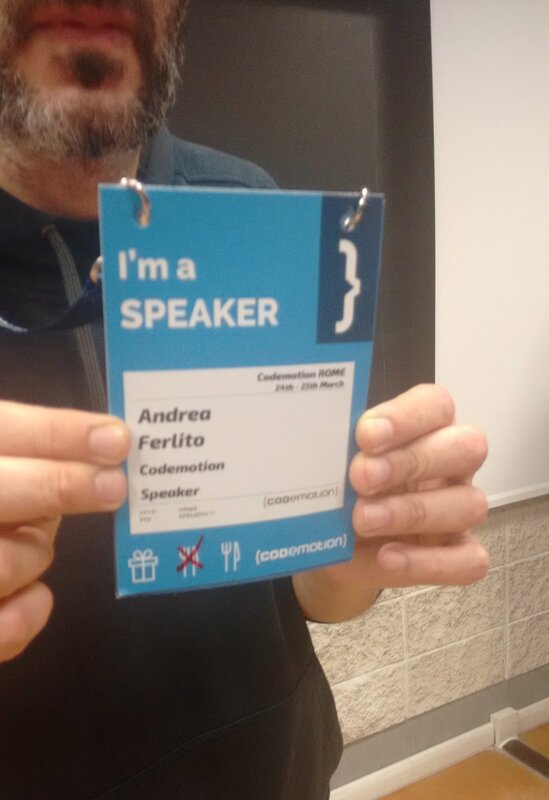 We heard Andrea Ferlito (Codemotion’s CTO) talk about how game development used to be at the time of Commodore64 development, when resources were very limited and programmers had to come up with clever hacks and solutions to bypass the limitations of the hardware. Andrea Pompili's insightful look into game development and Commodore 64. One of our favorite speakers of the conference. We realized there is an active community of people still programming for that kind of limited hardware (mostly emulated in these days), or using some sort of self imposed limits when creating games (for example using platforms like Pico8). The motive behind this choice is that having limits in the tools used to develop a game (but the concept here can be applied also to a wider range of situations) forces the developer to be really smart. You need to be able to think outside of the box to make the machine (or the emulator) do more things than what it’s supposed to be able to do. Andrea Pompili, Ferlito's co-speaker, and former Commodore64 game developer back in the 80s producing games like Catalypse, explained to us how he found a way to display more than the 8 simultaneous sprites that the commodore was able to render for each frame, in a time where you couldn’t just look for solutions on how to do something like that over the internet. It was a pretty awesome and inspiring look into the past, before the answers to many of the issues developers face were so easily found. Overall, we had a great time at the conference, it was an awesome opportunity to meet other developers with new insights and ideas. We got to learn about what it was like coding and developing games in the past, and of course also took a look into the future of Virtual Reality game development. As gamers and developers, we appreciated all this conference had to offer.